Tessa has her future planned to perfection. First get into medical school and become a doctor like everyone else in her family—despite her queasiness around blood. Second meet and marry someone who is just as successful as her brother—the new, handsome doctor in her ward will be just right. And last, prove to her brother that, despite what he thinks, she has it all together. Easy, right? Except that she’s just been called to be the ward road show director for the upcoming stake singles activity, a distraction she doesn’t need. And when a mix-up means that she’s partnered with her bug-eating, seventies dressing home teacher? It’s a disaster with a capital D, and she knows that no one in her family can ever find out about this. As a PhD student studying insects, Henry White has had his fair share of girls try to change him into someone more socially acceptable—including his ex- fiancé. When his sister convinces him to join the singles ward for his last year of school, he decides to play up his oddness in order to keep the singles at a distance. When he begins to work with Tessa on the road show, he finds that she’s managed to get past his defenses. One little stage kiss is all it takes to make him question everything. But then his ex-fiancé comes home from her mission with one goal in mind: win Henry back, no matter what it takes. Tessa is soon faced with a choice. Go for the perfect life she’s always pushed herself to have, or find the courage to look past appearances and figure out what she really wants. This book was lots of fun to read! I couldn't help but like Tessa- flaws, mistakes, and all. She is misguided in her attempts to please and impress her family with a career choice and "perfect" boyfriend, but the dynamics of her family made me understand her choices. Like Henry, I just wanted her to open her eyes to follow the path that *she* wanted, but never allowed herself to even dream about. Her supportive friends balanced out the pressure she felt from her parents and complete jerk of a brother. I really enjoyed her friendship with Henry, who also comes to a point of transition because of his relationship with Tessa. He's been hiding behind a facade of unattractiveness to repel women in order to protect his trampled-on heart, but Tessa quickly sees past that and appreciates the genuine and kind man he really is. Lots of drama (but not over the top) and angst, but the kind that has the reader feeling for the characters. The banter is fun, and the chemistry between Henry and Tessa is strong, making the romantic tension add to the feeling of anticipation as I read. Loved the ending! Side note: The characters are members of The Church of Jesus Christ of Latter-day Saints, and there are some terms or references that may be unfamiliar for those not of the faith, but I think would not detract from understanding the story. This is a sweet second chance romance story with some fun adventures mixed in with a heavy dose of real life. Although Madelyn is often worn down by single parenthood, working two jobs, and a dependent mother, she keeps working hard for those she loves. 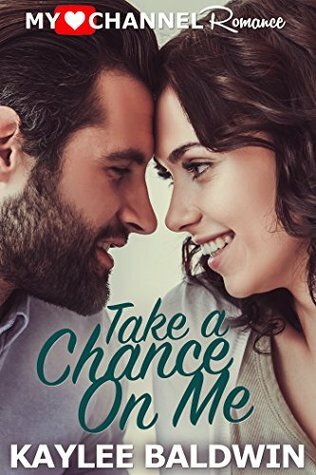 She has fears that get in the way of her relationships, and Chance helps her realize that there is more to life if she will take a little risk. He is one of those larger than life people, and his attraction to Madelyn and acceptance of her life is endearing. He has his own set of troubles, but he faces them head on and with determination. I didn't quite feel connected to the characters, but it was an entertaining story and an easy read. Chance Risk doesn’t talk to reporters. Not after the way he’s seen them destroy his brother’s marriage and career. But Take a Chance is starting to lose viewers, he’s desperate. Despite his better judgment, when Madelyn reaches out, he can’t resist the opening to figure out why she broke his heart eight years before. His only condition: she has to come to three filming locations with him and his crew to get a real sense of what the show is about. Swept up in adventure, they start to feel the chemistry from college rekindling. But the reason Madelyn left eight years before still looms between them. 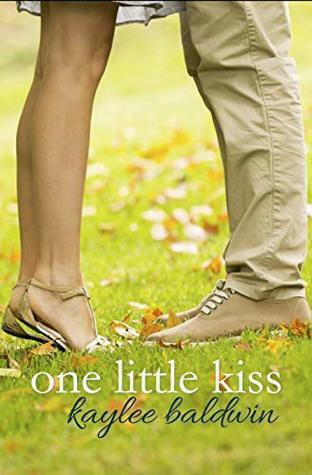 If Chance can’t convince Madelyn to take a chance on love, she’ll walk away again. This time forever. “You’re beautiful,” he whispered, and she turned to him, recalling her too-casual clothes, her frizzy hair, the sugar still dusting her face. But when he looked at her that way, she believed it. She rested her head on Chance’s firm chest and listened to his steady heartbeat as they swayed gently to the music. Oliver still drew with the children, happiness lighting his face. She wanted to soak in the pure contentment of the moment. “Madelyn,” he whispered, his voice hoarse. She lifted her head, and a stray hair flew across her mouth in the warm breeze. He caught it, his knuckles brushing across her lips. Her breath caught and the entire world disappeared. It was just the two of them caught up in the magic of being. Giveaway Details Ends 7/1/18 Open only to those who can legally enter, receive and use money sent via Paypal or gift codes via Amazon.com. Winning Entry will be verified prior to prize being awarded. No purchase necessary. You must be 18 or older to enter or have your parent enter for you. The winner will be chosen by rafflecopter and announced here as well as emailed and will have 48 hours to respond or a new winner will be chosen. This giveaway is in no way associated with Facebook, Twitter, Rafflecopter or any other entity unless otherwise specified. The number of eligible entries received determines the odds of winning. This giveaway was organized by Kathy from I Am A Reader and sponsored by the author. VOID WHERE PROHIBITED BY LAW.